Whether you're on a time crunch or planning out your next big project, the Renovation Raiders host shares her best been-there-done-that tips. Amy gives the plus side of using floating floors as an affordable upgrade. 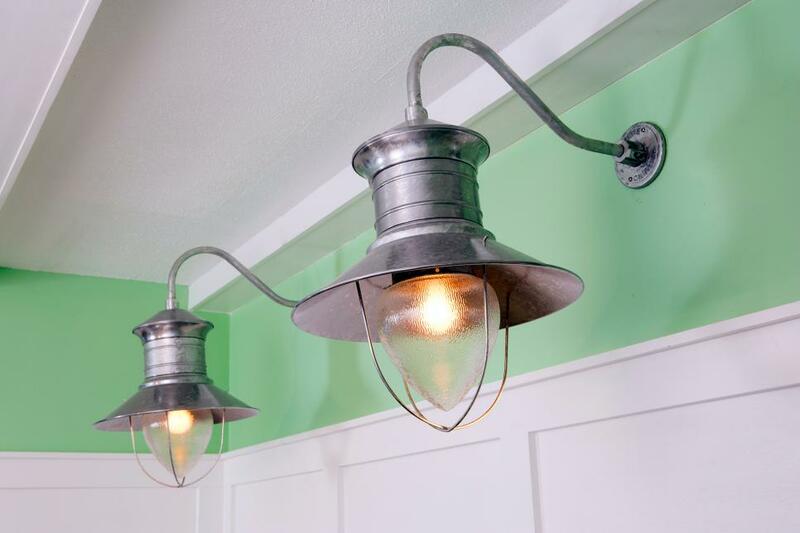 Amy gives helpful tips for designing a room renovation using a focal point. Amy offers good advice to heed before removing a wall during renovation. Amy explains how demolition of a wall opens up a space to views and light. Amy suggests that renovation designs center on your personal passions. Amy suggests architectural details be added for interest when renovating. Amy says to 'think color' when it comes to updating or renovating rooms. 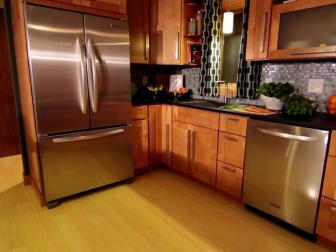 Amy explains that a reface saves time and money over a total renovation. 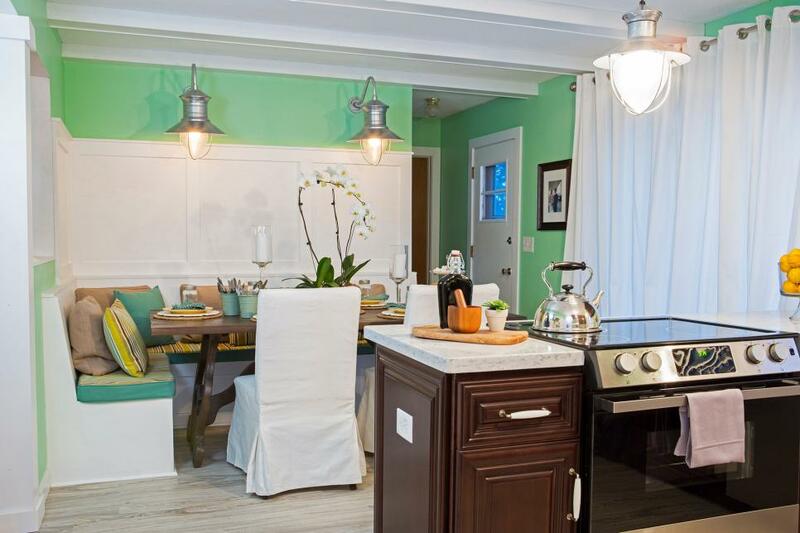 See how Amy Matthews + crew quickly take rooms from drab to fab. Watch the crew beat the clock in these best-ever makeovers. Imagine the crew from Ocean's Eleven are contractors, and instead of a heist they are pulling off a major remodel — all while the homeowners are out to dinner. Just like in every caper film, our crew will need intel, a warehouse to mock up and practice the job, and time at the site without getting caught. Those homeowners better eat slow and order dessert! Amy Matthews and her team raid a cramped kitchen, dining and living room, hoping to turn a bachelor pad into a family home. Travis is surprising his girlfriend, Lun, with a kitchen renovation made even more special with a surprise marriage proposal! 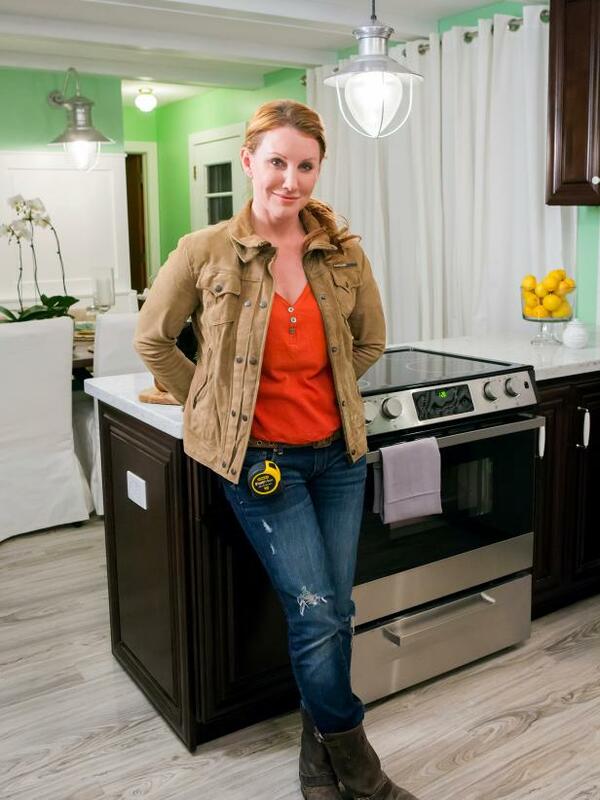 Amy plans a massive new space, and the teams starts by demoing the entire space, including taking out the claustrophobic kitchen walls and well-worn cabinets. In their place, new horizontal-grain custom cabinets go in, along with stainless appliances, a solid surface resin countertop and a unique, eco-friendly backsplash made of coconut shells. All-new furniture gives the space the comfy yet modern vibe the couple likes. 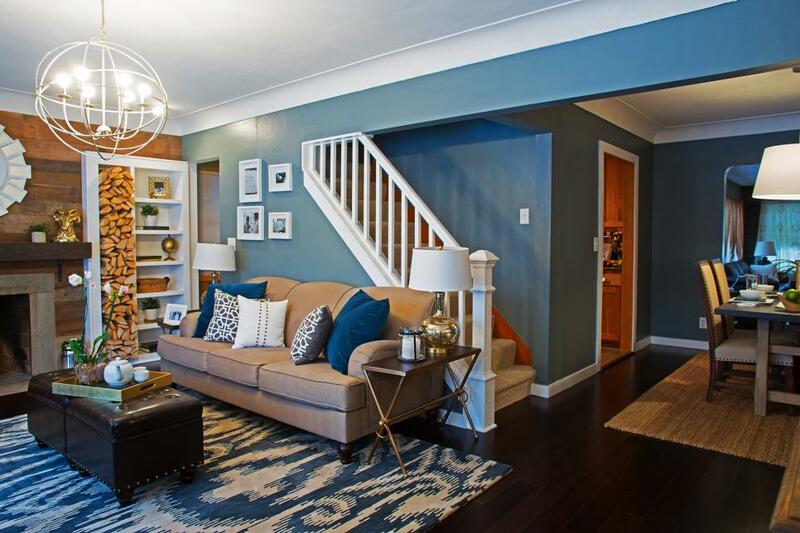 The Renovation Raiders descend on a suburban basement and in just five hours, they transform it into a library/family room with wood floors, shelf-lined walls and a cozy stone fireplace. They even install a bookshelf that functions as a hidden door to the laundry room. Amy and her team tackle a kitchen and dining disaster that hasn't been renovated since the 1960s, and is in desperate need of an overhaul. Newlywed Seth wants to surprise his wife Rose with a kitchen makeover since the room is such an eyesore and the couple won't be able to afford to reno the space for many years. With help from their friend, Ian, who acts as a spy, Seth keeps Rose away while Amy and her team reno the kitchen, dining room and living room. 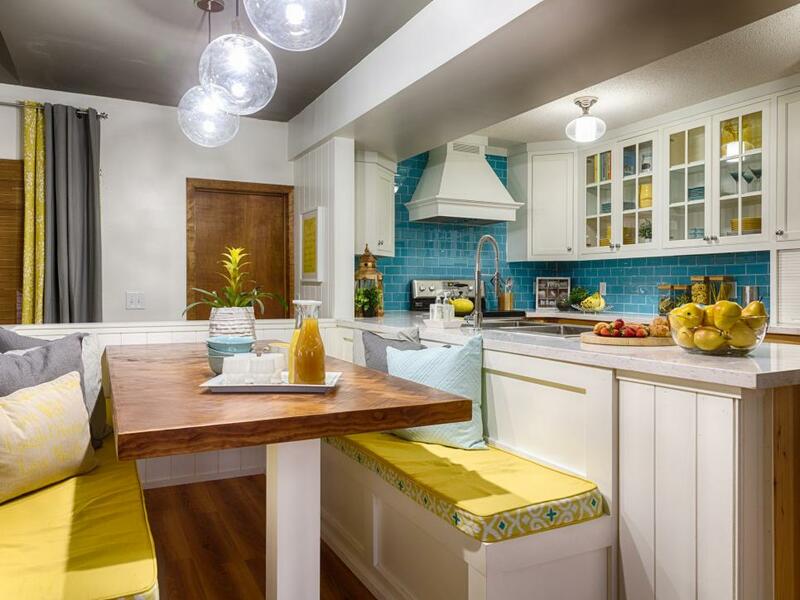 They create a retro-Scandinavian kitchen and living area that will match Seth and Rose's design style. 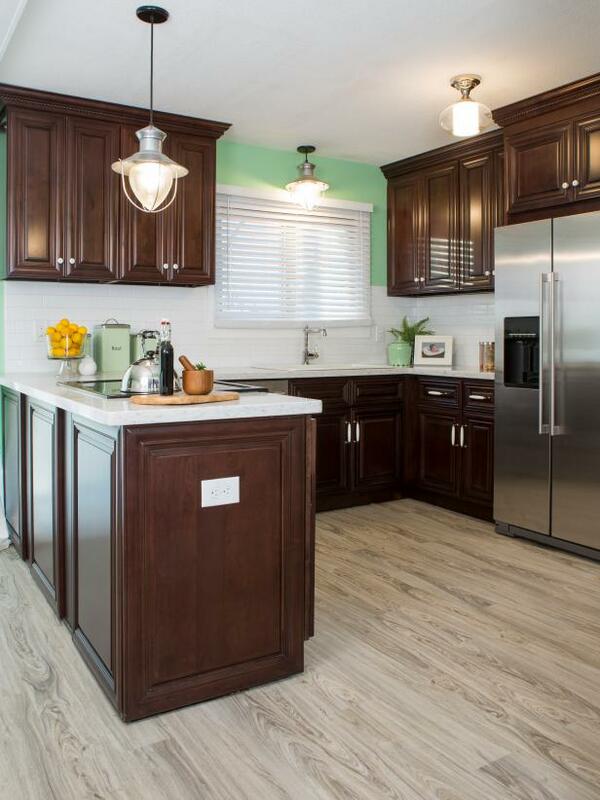 The plan is for the crew to demo the entire kitchen, take down walls, add a new floating floor, cabinets, appliances, an island and all new furniture to create a dramatic and beautiful new space. But once installation begins, problems with the cabinet layout and oven installation slow them down and the team needs more than 6 hours to complete the build. Spy Ian runs out of ways to stall the couple and is forced to improvise in a way that leaves the crew wondering if they can finish the job. When homeowner Jennifer faced a health crisis, her daughters and husband became her strong supporters and gave her the courage to fight back. 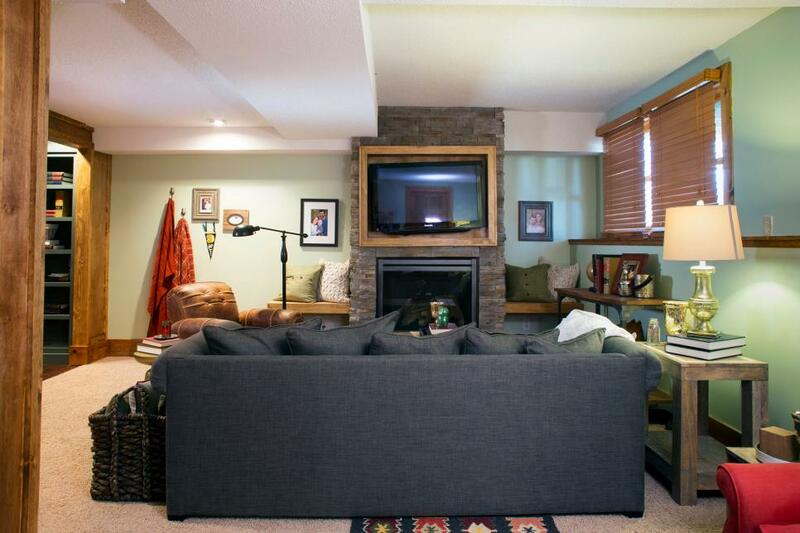 Now that doctors have given her a clean bill of health, Jennifer wants to thank her family with an amazing basement reno. 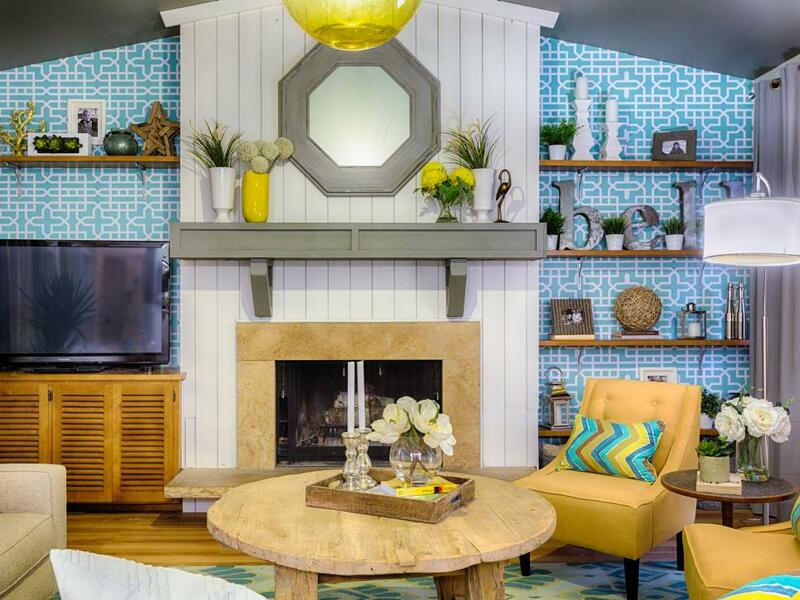 Amy and her team will create a fun craft room and family media room to surprise the family. Jennifer takes her daughters and husband to the fair for a planned 5-hour adventure. Her best friend Tammy will act as a spy, and communicate with Amy to make sure the family stays away long enough for the team to complete the job. Amy and her crew demo the current basement, and divide the L-shaped room into two rooms with a wall of sliding doors and windows. 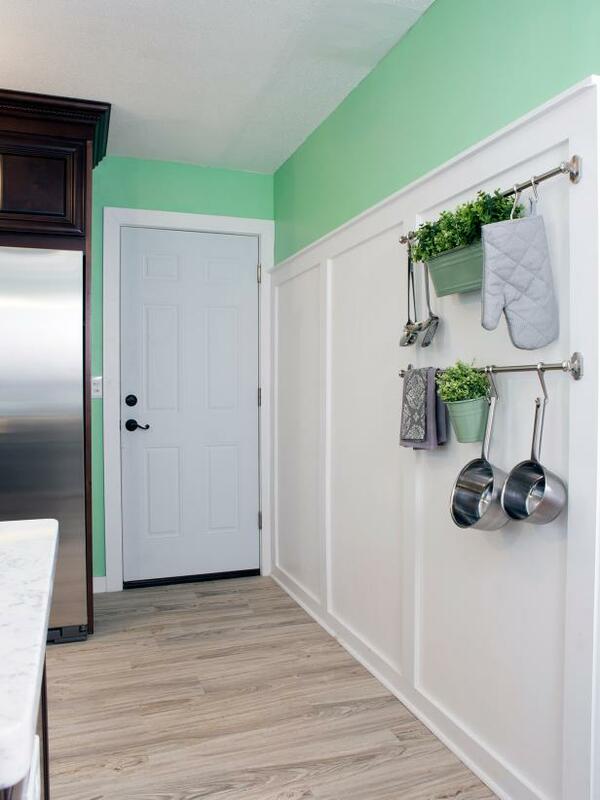 The craft room gets custom built-ins including a craft table, sewing station and fabric wall. In the family room, the team refaces the dull brick fireplace and creates a new media center, installs new bookcases, flooring, paints and refurnishes the entire space. But the basement space creates havoc with cell phone communications, and when Amy needs more time to complete the reno, she is unable to reach the spy. The floors and bookcases are unfinished, and the new furniture isn't in place. If the spy hasn't delayed the family on her own, this reno will be busted. Amy and her team tackle a dull, dated kitchen for a family of four who crave more space to hang out together and entertain. Homeowner Greg, is surprising his wife Patty, who thought they were moving into a basic starter home 20 years ago, but after children arrived, they ended up staying. Patty's teenage daughter, Casey, got her dad on board for the makeover, and she will act as the spy while Greg takes his wife to dinner and a night at the horse track while Amy renos the space. 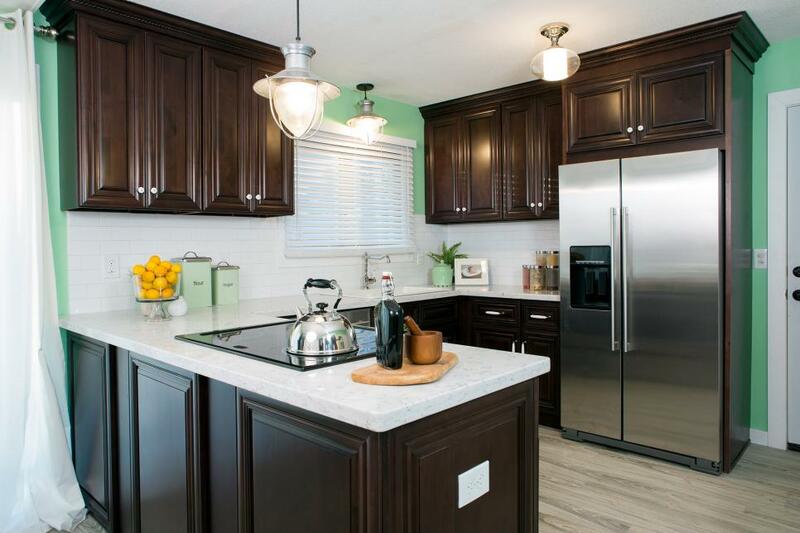 The team will demo the entire kitchen and take down walls to create an open flow between the kitchen and living room. They will bring in new cabinets, fridge and dishwasher in the kitchen. In the living room, they will add a fireplace focal point, new flooring, paint and new furniture with the country chic decor Patty loves. But the fireplace and flooring have unexpected delays and spy Casey must come up with creative ways to delay her mother's return home at the end of the night. With a dramatic change in store, Patty has no idea her delays will be well worth it when she returns home. Homeowner Sara wants to surprise her husband, Michael, with a basement reno because he has sacrificed so much due to her health needs. After breaking her back, Sara needed to find a home without upstairs bedrooms, and moved into a ranch home that fit her needs. But her husband lost his beloved media room and office in the new house, and now has a peach-colored man cave and office area in the basement. With help from Michael's best friend, Jon, Sara gets her husband out of the house for six hours while Amy and her team renovate the basement. They're giving Michael an authentic theater space where he can watch movies and hang out with friends. The team demos the basement, installs a new header to create a bigger basement opening, adds stadium theater seating, soundproofing, decorative columns, carpet, and a new 70 inch TV. In addition, they create a new concession stand/ bar area with a working sink so to make the space perfect for entertaining. But the team runs into trouble right away as they attempt to install the steel header to expand the basement opening, and must consult with a structural engineer. A busy electrical inspector and an uneven ceiling further delay the reno. Spy Michael is able to stall the couple, who are away on a lunch time boating adventure, but when the boat captain becomes angry, the stall must end, leaving Amy wondering whether they'll finish the makeover before the couple comes home. 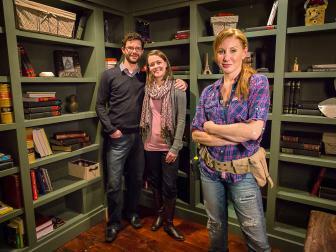 Amy Matthews and the team tackle a project they've never attempted before when they open up a cramped attic master bedroom, turning it into an awe-inspiring master suite, complete with an all-new bathroom. Homeowner Dan wants his wife, Ashley, to have a master bedroom retreat, but after the couple tackled renovations on their first floor, they have no energy or imagination to continue the updates upstairs. Amy and her team gut the attic bedroom and leaky bathroom, which haven't been updated in decades. They create a vaulted ceiling with faux wood beams and a chandelier for visual interest in the bedroom and new his-and-hers walk-in closets on the other side of the room. But work almost grinds to a stop when they discover problem after problem in the bathroom, which had been installed without permits by previous owners. When the couple's friend, acting as a spy, loses track of the homeowners during the raid, she tries to warn Amy. But Amy's phone has died and she doesn't get the message that no one knows when the couple will arrive home. With renovations hours behind, the team is in serious danger of getting busted.